What I consider the heart of South LA, Leimert Park is truly a cultural mecca. It's full of amazing Spanish style homes, caring neighbors, treelined streets and even has its own village with shops, art galleries, a theatre and much more! You'll be hard pressed to find a block that doesn't have a block club captain. This is a real neighborhood where people look out for each other, take pride to beautify and celebrate it. The neighborhood has been transforming over the last few years to accommodate the construction of the Crenshaw Metro line. A residential community and affluent neighborhood in the South region of Los Angeles, California. It is located in the namesake Baldwin Hills range overlooking the Los Angeles Basin and the lower plain immediately to the north. Much like its neighboring areas View Park and Windsor Hills, Baldwin Hills is now sought aggressively as a neighborhood of choice for its stylish ranch style homes, many that have pools, and its breathtaking cityscape views of downtown and West Los Angeles. Baldwin Hills is in walking distance of Kenneth Hahn Park, recently re-designed with walkable hiking trails that connect all the way to the Culver City scenic overlook. Originally designed in the vain of other affluent areas such as Cheviot Hills and Brentwood, View Park/Windsor Hills is traditionally known as one of the most affluent African American communities in America, but now shifting to one of the most desirable communities to live in the Los Angeles Area. The two neighborhoods are part of a band of neighborhoods, from Culver City's Fox Hills district on the west to the Los Angeles neighborhood of Leimert Park on the east. It composes the single largest and one of the wealthiest, well-educated geographically contiguous high upper-class communities in the western United States. VP/WH contain a superb collection of houses and mansions in the Spanish Colonial and Mediterranean styles, most of which remain today. View Park architecture features the work of many notable architects, such as the Los Angeles Investment Company, Postle & Postle, R. F. Ruck, Paul Haynes, Leopold Fischer, H. Roy Kelley, Raphael Soriano, Charles W. Wong, Robert Earl, M.C. Drebbin, Vincent Palmer, Theodore Pletsch and Homer C. Valentine. It is also rumored that renown African American architect, Paul Williams built several homes in View Park. Just south of Vernon, Park Mesa rests below Leimert Park, but is complete with a surprising wealth of craftsman and traditional style homes dotted with palm tree-lined streets. Many of the lots are bigger than the neighboring ones in Leimert, and as the next area of choice for redevelopment, there are already the budding rumors of Roy Choi’s LOCOL setting up shop. Construction is already underway for the new Metro rail running down Crenshaw which will eventually connect at Florence Blvd. to the airport. The homes in Crenshaw Manor, Los Angeles were built during World War II, from 1940-42. 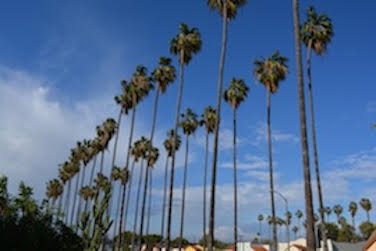 Most the homes, consisting of traditional and Spanish styles, line the tree-lined streets West of Crenshaw Blvd. and East of West Blvd. 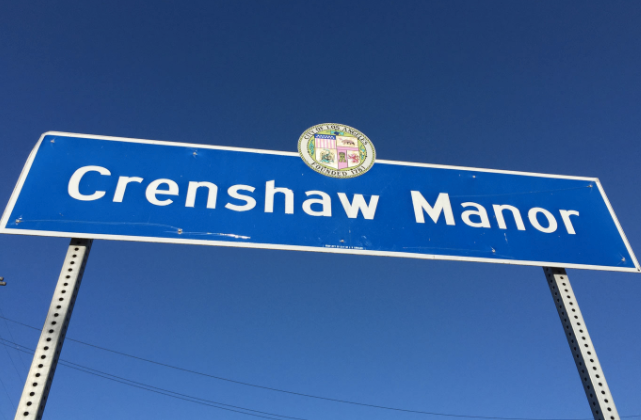 Crenshaw Manor is off the beaten path of the bustle of most of the “Shaw” but also serves as the quiet backdrop to the Crenshaw Mall and the soon to be completed Kaiser complex on Marlton Square. The Jefferson Park neighborhood is perhaps one of the City’s best examples of the remainder of the street-car era and influx of the craftsman era. Many of the single-story bungalows still maintain their original design and charm, making the many streets of this vast district instantly charming. A significant number of Jefferson Park houses were built using prefabricated kits or plan books produced by the likes of Sears and Pacific Ready-Cut Homes. Jefferson Park found instant favor with African American and Japanese American families having survived most of the racial discrimination set in from the 40s. And while the neighborhood today is more diverse, many of the businesses and institutions along Adams and Jefferson Boulevards and Western Avenue, within the HPOZ, reflect the contributions of these cultures to the community. A neighborhood in southern Los Angeles, California. It is located within the South Los Angeles region, bordering the cities of Lynwood and South Gate, and the unincorporated community of Willow-brook, all in Los Angeles County. Founded in the late nineteenth century as a ranching community, the arrival of the railroads and the construction of Watts Station saw the rapid development of Watts as an independent city, but in 1926 was consolidated with Los Angeles. By the 1940s, Watts transformed into a primarily working class African American neighborhood. Notable civic activities by residents of Watts include the "Toys for Watts" toy drive, the Watts Christmas parade, and the "Watts Summer Games" athletic tournament, as well as a local theatre and a dance company, in an effort to improve the neighborhood. A city in southwestern Los Angeles County, California, southwest of downtown Los Angeles and home of the popular L.A. Forum. Los Angeles Stadium at Hollywood Park is currently under construction in Inglewood and when completed around 2019 will be the new home of both the Los Angeles Rams and the Los Angeles Chargers. Hyde Park is one of the oldest neighborhoods in the city of Los Angeles. It was "laid out as a town" in 1887 as a stop on the Atchison, Topeka and Santa Fe Railway's Harbor Subdivision, which ran from Downtown Los Angeles to the port at Wilmington in a westward loop. It was incorporated as a city in 1922 and had its own government. However, on May 17, 1923, its 1.2 square miles was consolidated with the larger city of Los Angeles after a favorable vote by Hyde Park residents. The city of Hyde Park is bordered by 60th Street on the north, Van Ness (now 8th) Avenue on the east, Florence Avenue on the south, and West Boulevard on the west. A neighborhood in the unincorporated region of the city of Los Angeles, California. The population was 6,498 at the 2010 census. Culver City lies to its west, the Baldwin Hills neighborhood to its north, and the Westchester neighborhood to its south and southwest. A neighborhood at the foot of Baldwin Hills, within the city of Los Angeles, California. The neighborhood consists of a large condominium complex that is both a Los Angeles Historic-Cultural Monument and a National Historic Landmark. Designed in the late 1930s and built out by 1942, it is one of the oldest planned communities of its type in the nation. Village Green is located between Rodeo Road and Coliseum Street, and between Hauser Blvd. and slightly west of La Brea Avenue, in the northwestern South Los Angeles region. The residences are one or two story frame structures finished in plaster, with the living units organized so that the living room and master bedroom face one of the garden spaces. Since the 1920s, Culver City has been a center for motion picture and later television production, best known as the home of Metro-Goldwyn-Mayer studios. Compton is a city in southern Los Angeles County, California, United States, situated south of downtown Los Angeles. Compton is one of the oldest cities in the county and on May 11, 1888, was the eighth city to incorporate. As of the 2010 United States Census, the city had a total population of 96,455. It is known as the "Hub City" due to its geographic centrality in Los Angeles County. Neighborhoods in Compton include Sunny Cove, Leland, Downtown Compton, and Richland Farms. The city is generally a working-class city with some middle-class neighborhoods, and is home to a relatively young community, at an average 25 years of age, compared to the American median age of 35 (2010 data).